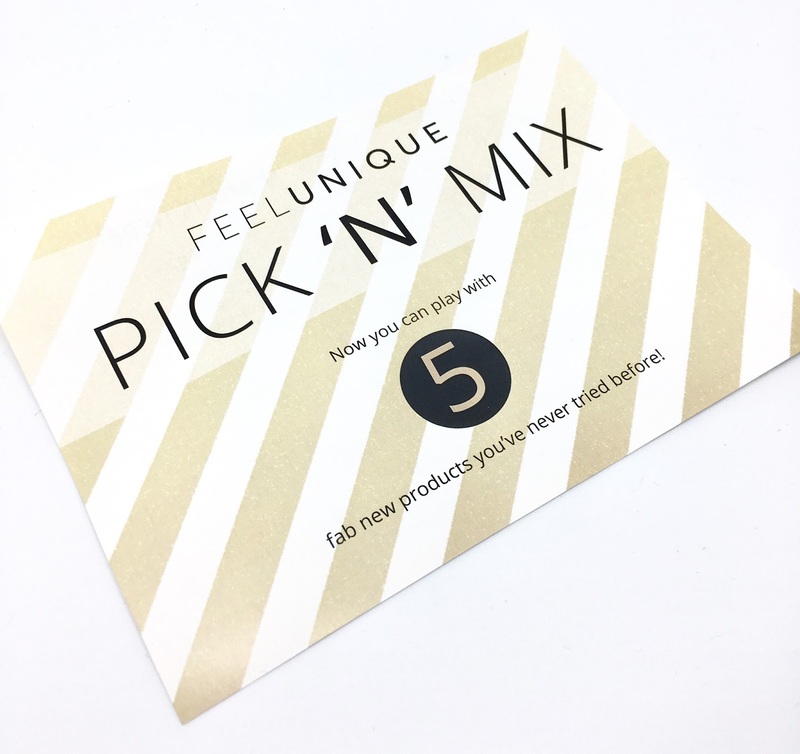 I may be a little behind with this new PICK 'N' MIX service from Feel Unique as I have seen quite a few bloggers post about it recently however I recently received my free samples from Feel Unique and I am very impressed and wanted to share them with you - read on if you would like to get your hands on some free beauty samples! Feel Unique are currently offering us 5 free beauty samples and all you have to pay is £3.95 delivery. You get this £3.95 back as an e-voucher to spend online = free makeup samples! The sample range is updated frequently and there is so many to choose from, they range from vials, sachets, tubs, pots and tubes from brands such as Caudalie, L'Oreal, Bioderma, Elemis and many more! NARS Laguna blush - This is a card sample which will last quite a few wears if used carefully! I already own a NARS blush and it is the best blusher I have EVER used, well worth the price tag and I use it daily. Burts Bees cleansing oil - This is a very decent sized sample at 30ml. I am really intrigued to try this as I have never used a cleansing oil before and with this one being packed with coconut and argan oil it is said to be extremely good for all skin types. Argadir argan oil hair treatment - Another good sized sample at 7.5ml. You apply a small amount to towel dried hair and style as normal, it protects your hair against heat damage and gives you a glossy shine. L'Oreal mythic oil hair masque - A 15ml sample which is one full treatment. I have used this before and it really does make your hair feel refreshed a nourished. Bioderma micellar water - A 10ml sample which will last a few uses. I am a little bit addicted to micellar water so I will enjoy testing this out to compare it to my usual Garnier. 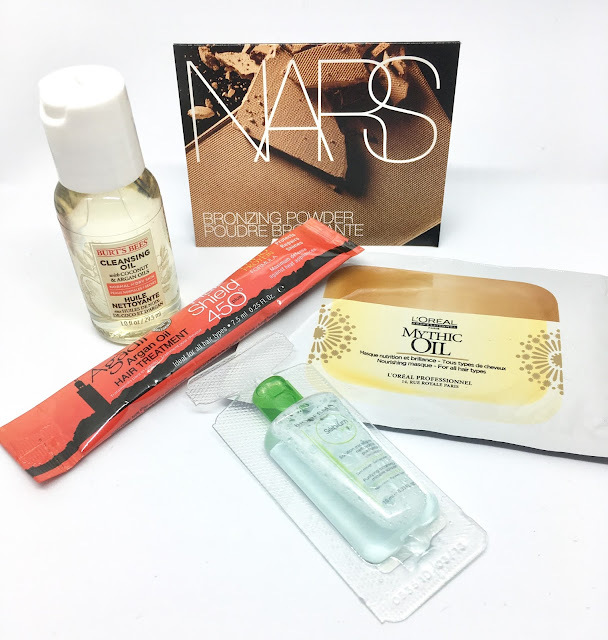 I am really impressed with the sample service and will enjoy testing these products out. Have you heard or tried the PICK 'N' MIX service yet? 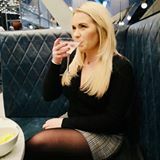 You can find the products on offer HERE and if you are placing an order and would like 15% OFF then please click HERE. Great idea, and would be great if timed right for a holiday. Handluggage dilemas sorted! I will be having a good look, not used feelunique for a while. I love this idea! I've seen it on a few makeup groups I'm part of on Facebook, but I wasn't aware you got the p&p back via a voucher.